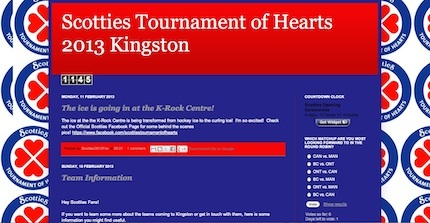 The Scotties Tournament of Hearts is coming to Kingston, and one of its biggest fans can’t wait. 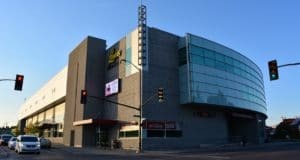 He’s a competitive curler, a fundraiser for the Sandra Schmirler Foundation, as well as the author of a blog devoted to this year’s Scotties. He’ll also be marching onto the ice at the K-Rock Centre as one of the event’s Junior Stars. 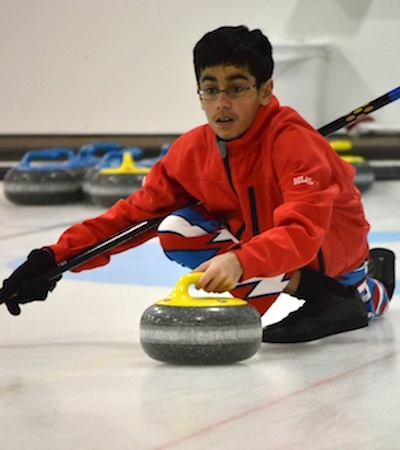 Meet Bilal Islam, age 13, and hooked on curling. The toddler had his own “kiddie broom” from the dollar store, and there was trouble when the family installed hardwood in the basement, removing the carpet on which the young curling fanatic used to imprint his own rings. At age four, Bilal’s passion for the game earned him a spot in Cataraqui’s junior curling program, after his mother assured the organizers that she would accompany her under-age son on the ice. He hasn’t looked back. Towards the end of the 2011-2012 season, he teamed up with Henderson, Samifanni and Walker from Cataraqui’s Bantam program and started working with a coach – Sabena, his mom. The boys have been practising weekly and even got permission to play in the Men’s League at their club in preparation for Bantam competition. Their commitment is starting to show rewards: they won the Junior division of the 2012 City Championship in November, as well as taking the trophy at their club’s Bantam spiel. But the team knows that’s part of the game, and improvement will come with time and effort, so they look for every opportunity to work on their skills. 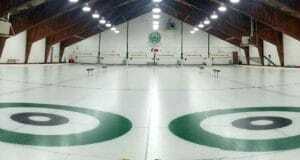 Mark Strachan, Curling Co-ordinator at Cataraqui GCC, has been watching these curlers develop for years and thinks their attitude and commitment is remarkable for such young athletes. That’s a goal the boys all share, but they also share the drive to win. “We hope to continue to improve and look forward to perhaps representing Ontario in future provincial championships,” says Walker, the lead. And as well as the support of their committed coach – “She always has a smile on her face and she loves coaching us,” says her son – they’ve got the Loudmouth pants and matching jackets to help them along. But it’s Bilal’s off-ice curling activity that has really caught the attention of Morris and Strachan, as well as his mother and teammates. 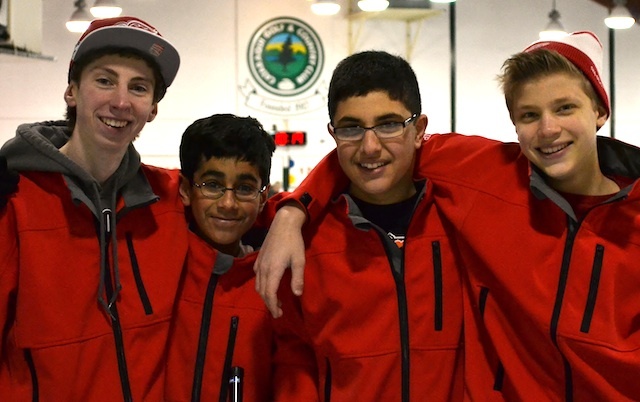 “He’s the youngest out of all of us, and he has the biggest impact compared to the rest of us because of all the stuff he does for the curling community,” says Samifanni. 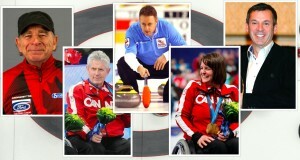 That “stuff” includes Bilal’s efforts to raise awareness and funds for the Sandra Schmirler Foundation. He convinced his King’s Town School community to donate their regular “civvies day” contributions to the cause, and he also appealed to the membership at Cataraqui GCC to support the Foundation during Sandra Schmirler Day, on the first Sunday of the Scotties when the annual telethon and fundraising drive takes place. “Since it’s in Kingston this year, I’m challenging my fellow Cataraqui members to raise the highest amount of money out of all the curling clubs in Canada,” wrote Bilal in the most recent club newsletter, where he also drew attention to another one of his off-ice curling endeavours – a blog devoted to sharing news and information about the 2013 Scotties. Both initiatives – fundraising and blogging – are part of the Grade 8 student’s Personal Enrichment Project, an expectation of his school program. In fact, the entire school will be there to see him march out on to the ice for his Junior Star moment. Clearly his efforts are a labour of love, but there is one thing the young blogger is a bit worried about, according to his mother. Next season, the team will be focused on Bantam competition again. 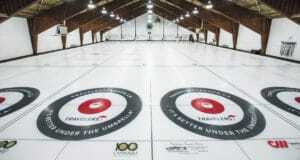 Read Bilal Islam’s 2013 Scotties Tournament of Hearts blog, here. Next: Get ready for a FANtastic week at the Scotties!